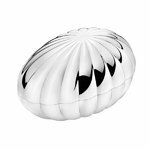 Bonbonniere by Georg Jensen is designed by Philip Bro Ludvigsen and it is a part of the Legacy collection. 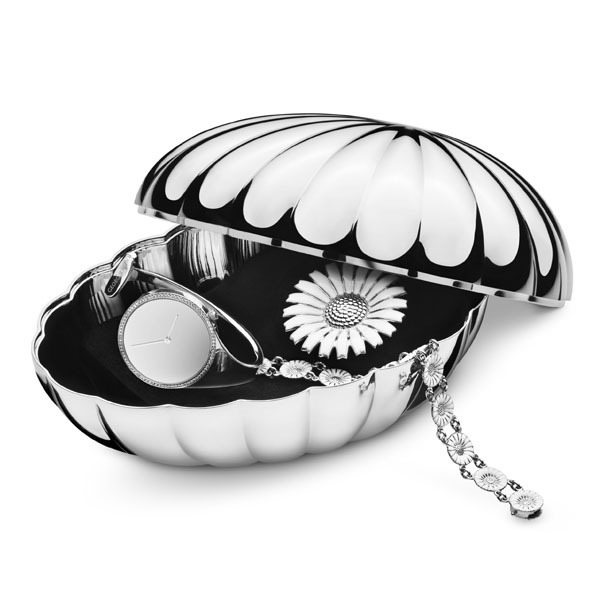 The egg-shaped box holds sweet surprises inside. As a box, it practically begs to be picked up, touched and opened. The shiny, scalloped chromium-plated surface forms a beautiful reflection. 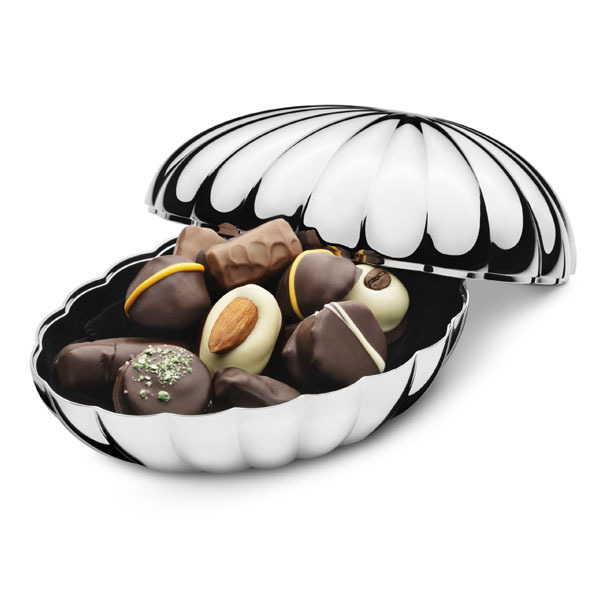 The bonbonniere is ideal for its intended use – to hold candies – but also works well as a place to put keys, jewellery and other small objects. It is a perfect decoration for Easter and springtime. You can even fill it with chocolates for an out-of-the-ordinary Easter Sunday surprise. Any time of year, though, it is a piece that is sure to make you smile. Legacy Bonbonniere is a wonderful gift idea. Philip Bro Ludvigsen (b. 1962) is a Danish industrial designer. He graduated from the Danish Design School in 1989 and has since taught there swell. He has also taught at the National Institute of Design in India. In 1998 he founded his own design studio called called Philip Bro. 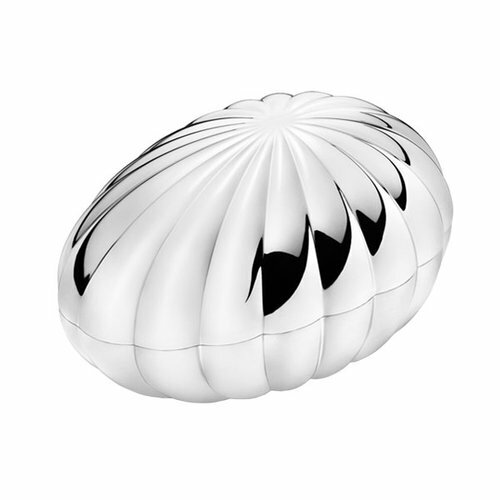 He has worked with many well-known furniture companies like Georg Jensen, IKEA and LE KLINT. The products designed by Ludvigsen are modern and light. They prove once again that serious design can be colorful, whimsical and unexpected.